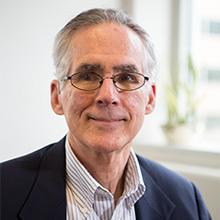 Steve Crawford is an economic sociologist whose current research focuses on postsecondary education and training, alternative credentials, and the functioning of the labor market. He is the Principal Investigator for a project that is building a community of researchers who are investigating the role of various non-degree credentials in the labor market. Previously he was co-PI for the Credential Transparency Project, which now is the independent non-profit, Credential Engine. In addition to projects on credentials, his recent work has addressed student loan policy, employer investments in training, disruptive innovation in higher education, and work-based learning, especially CTE and youth apprenticeship. He and GWIPP colleagues are currently developing new projects on upskilling (vs. up-credentialing), employer tuition assistance programs, regulatory shifts from licenses to certifications, and comparisons of the merits of various proposals for improving the incomes/assets of poor Americans, including a universal basic income and a social wealth fund. Before coming to George Washington University, Steve served as VP for Policy & Research at CFED and a Nonresident Senior Fellow at Brookings; Deputy Director of Brookings’ Metropolitan Policy Program; Director of Social, Economic and Workforce Programs at the National Governors Association; and Executive Director of the Governor’s Workforce Investment Board in Maryland. He also taught at Bates College and the University of Maryland, and was the executive director of research centers in Cambridge, MA and College Park, MD. Steve spent three years in the U.S. Army as a training officer in the Airborne School and an infantry officer in Vietnam. More recently, he served on the Frederick County (MD) Board of Education and on the Obama-Biden transition team. Currently he is member of the boards of ANSI (American National Standards Institute) and Workcred. Dr. Crawford holds a BA from Cornell University, a Masters degree from the Wharton Business School and a Ph.D. from Columbia University. His publications include a book, Technical Workers in an Advanced Society (Cambridge Univeristy Press, 1989) and many articles, book chapters, white papers, policy briefs and reviews. “Creative Solutions to Credentialing Chaos,” in Investing in America’s Workforce: Improving Outcomes for Workers and Employers (2018: a collaboration among the Federal Reserve System, the Heldrich Center, the Ray Marshall Center, and the Upjohn Institute). “Fixing the Credentialing Chaos: A National Tool and State Application," with Ken Sauer, in Investing in America’s Workforce: Improving Outcomes for Workers and Employers (2018: a collaboration among the Federal Reserve System, the Heldrich Center, the Ray Marshall Center, and the Upjohn Institute). “State Strategies for Leveraging Employer Investments in Postsecondary Education,” with Robert Sheets, a white paper for the National Commission on Financing 21st Century Higher Education (2016). “Creating and Communicating Critical Information about Workforce Credentials,” with Robert Sheets, a chapter in Transforming U.S. Workforce Development Policies for the 21st Century, edited by Carl E. Van Horn, Todd Greene, and Tammy Edwards (Upjohn Institute Press, 2015). “How Risk-Based Loans would Help Students Achieve Better Outcomes,” with Robert Sheets, Suffolk Law Review Vol XLVIII: 3 (2015). “Managing Risk, Reaping Reward: The Case for a Comprehensive Income-Based Student Loan System,” with Robert Sheets, a chapter in Reinventing Financial Aid: Charting a New Course to College Affordability, edited by Andrew Kelly and Sara Goldrick-Rab (Harvard Education Press, 2015). From Income-based Repayment Plans to an Income-based Loan System, a white paper with Robert Sheets commissioned by Lumina Foundation, released April 14, 2014. “Creating Institutional Space for Business Model Innovation,” with Robert Sheets, Continuing Higher Education Review 77: (UPCEA: Fall, 2013). “Harnessing the Power of Information Technology: Open Business Models in Higher Education,” with Robert Sheets, EDUCAUSE Review 47:2, March/April, 2012, pp. 34-48. Rethinking Higher Education Business Models: Steps Toward a Disruptive Innovation Approach to Understanding and Improving Higher Education Outcomes, with Robert Sheets and Louis Soares, a Center for American Progress Policy Brief, March 28, 2012. “Improving the Poverty Measure by Taking Assets into Account,” an op-ed co-authored with Shawn Fremstad, web-published by www.reuters.com, Sept. 2010. The Financial Security of Households with Children: an Assets & Opportunities Program Special Report, co-authored with Kasey Wiedrich, and Leigh Tivol, CFED, May 2010. Toward a New Business Model for the United States Postal Service, a report commissioned by the United States Postal Service and published on their website, Nov. 2009.